The NDP's new Quebec caucus is an eclectic bunch, including the youngest-ever MP, four McGill University students, a former Liberal politician and a globe-trotting diplomat who unseated Gilles Duceppe in his own riding. The NDP's new Quebec caucus is an eclectic bunch, including the youngest-ever MP, four McGill University students and a globe-trotting diplomat who unseated Gilles Duceppe in his own riding. There is also a karate-instructing, federal policy researcher who defeated Foreign Affairs Minister Lawrence Cannon. The NDP crushed the Bloc Québécois in Monday's election, taking 58 of the province's 75 seats. New Democrat Quebec lieutenant Thomas Mulcair sought to reassure Quebecers on Tuesday about the quality of the 58 NDP MPs voters picked over veteran Bloc parliamentarians. "Go look at the 50 people who were there with the Bloc [Québécois] the last election, all quality people," Mulcair said, answering a French question. "Look at their experience and their training when they were elected, and compare it to the team we got elected yesterday." "You'll understand why we are so proud they were elected." 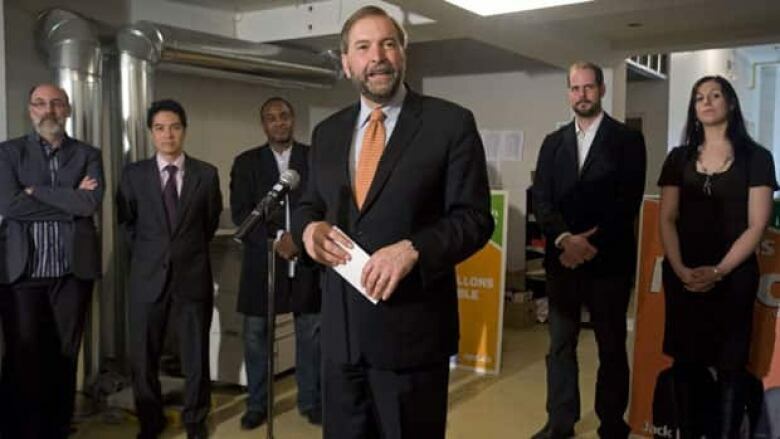 Mulcair echoed NDP Leader Jack Layton's enthusiasm for the party's newest recruits. "I don't share this notion that a young person is somehow not qualified, and evidently the people who voted for these new MPs in Quebec feel the same way," said Layton in Toronto, the day after his party's historic election results. Laurin Liu says she wouldn't have signed the papers for her candidacy in Rivière-des-Mille-Îles if she had not been prepared to win, but admits to being "a little shell-shocked" by her Monday victory. Liu, 20, is a history and cultural studies student at McGill University. She's not sure whether she'll be able to pursue her BA while serving as MP for the Laval-area riding. "I might continue part-time, I haven't made a final decision yet," she said. Newly-elected NDP MP Laurin Liu. ((Canadian Press))Three other McGill students – Charmaine Borg, Matthew Dubé and Mylène Freeman – were also elected as NDP MPs, all defeating Bloc Québécois incumbents. Another university student, a 19-year-old from Sherbrooke, Que., was not only voting in his first election but also became the youngest person ever elected to Canada's House of Commons. Pierre-Luc Dusseault is a self-described political junkie who has been to Ottawa and visited the House of Commons. He also admits to watching a lot of CPAC, the TV channel that broadcasts parliamentary proceedings. "I know the game," said a confident-sounding Dusseault, who turns 20 on May 31. Hélène Laverdière, a former foreign affairs officer who served in Washington, Senegal and Chile knocked off Duceppe in Montreal's Laurier-Sainte-Marie. "A month ago it was a dream," she said. "[Then] a few weeks ago seeing how people were listening to what we had to say, we started to think 'well maybe the dream will come true.'" Hélène Laverdière defeated former Bloc leader Gilles Duceppe. ((Canadian Press))Tyrone Benskin, a veteran actor and director who won his NDP seat in Jeanne LeBer says his new colleagues will bring their own experience to the House of Commons. "Yes, there are newcomers, there are always newcomers to any party. All these people are very good at what they did in their private lives." Other new faces, like MP Alexandre Boulerice of Rosemont-La-Petite-Patrie, couldn't believe what had happened. "Am I surprised? Of course," said the elated father of four shortly after beating Bloc incumbent Bernard Bigras. "This is not a wave, this is a tsunami — a political earthquake." 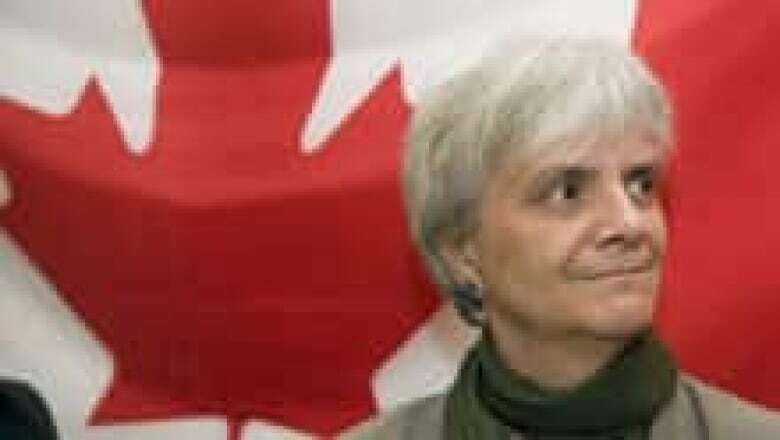 Boulerice, a communications adviser for the Quebec division of the Canadian Union of Public Employees, lost to Bigras by more than 17,000 votes in the 2008 election. Mulcair deflected concerns about the lack of French language skills of the new MP for Berthier-Maskinongé – Ruth Ellen Brosseau – who he acknowledges can't yet give an interview in French despite representing a riding that is 98 per cent francophone. "Ms. Brosseau does not speak a French at a level we would expect for a riding like Berthier-Maskinonge," Mulcair said. "But I am making a personal promise, we will help organize her office, we will give her all the help that's needed." Mulcair guaranteed Brosseau's French would improve dramatically over the next four years. The new NDP MP in the neighbouring riding of Trois-Rivières, Robert Aubin, has promised to take her under his wing. Aubin – a high school teacher – speaks no English, but he says he is eager to learn.